If you want to know more about each individual book (sample of surgeons interviewed, hospitals, general tourism information) – click on the tab representing the country (Mexico, Colombia or Panama) for posts related to the research, writing and publication of each book. Q. Hey! I’m in Bogota and I wanted to pick up a copy of your book. Where can I get it locally? A. At Author’s Bookstore & Cafe on Calle 70 # 5-23 Bogotá Colombia.. The owner, Steve is a transplanted American. He’s also supernice and helpful.. Otherwise – the book is widely available on-line at Amazon.com, Barnes & Noble, iTunes and multiple other on-line outlets in paper and digital formats. We also have a Spanish version. Q. Where can I find a copy of Mexicali? I hear that it is available for free. A. Pdf versions of the Mexicali! mini-gem guide to surgery are available at multiple sites on-line. It is also available in print and e-book formats at Amazon.com. If you’ve downloaded and read Mexicali! I would appreciate if you left a comment at the site where it was obtained, to help make it more widely available to other interested people. Who is pays for this/ who is paying you? The answers, as always, are the same. 1. No one pays me. I pay all the costs of my research myself – out of dwindling retirement (the money kept disappearing down a stock market black hole anyway -so at least now I am using it.) I am here in Colombia writing this book – because I think it’s important. I will get paid when /and if people buy the book. 3. No – the government of Colombia/ Panama / Mexico is not supporting me – I don’t know anyone in Colombian government – and I doubt that they would be interested in the work of a (unknown american) nurse – in a country that doesn’t always value nurses very highly. (I did write to President Santos once as a lark – and surprisingly, he sent back a nice note!) In fact, often the officials from the cities I am writing about are very reluctant to make time for, or cooperation for a writer like myself. Maybe if I was Anthony Bourdain, it would be different, but then again – I’m not reviewing tamales, arapas or tacos..
4. No – the doctors do not pay me – that would completely invalidate the work that I do – it wouldn’t be an independent/ unbiased review.. That would be an advertisement – and we have enough of that already.. It was the need for unbiased review that led to the idea for my surgical tourism books in the first place. 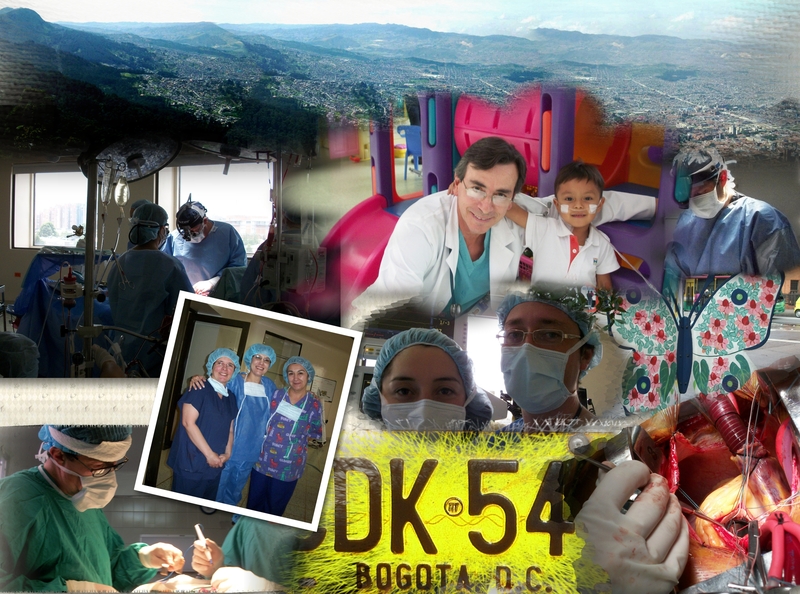 The doctors I interview participate out of: curiosity (I am a bit of a novelty), genuine interest in surgical tourism, or sometimes just generousness of spirit (‘sure, I’ll see her since she’s all the way here in Bogota/ Cartagena/ Panama’).. I do it because it’s my passion.. I love what I do as a nurse practitioner – that connection and trust I have with my patients – and I feel that this is part of that.. Patients asked me about surgical tourism – and I felt compelled to find out more, and to have strong, solid research and evidence behind me to pass on. I hope that answers your questions – keep writing! Hidden Gem: A Guide to Surgical Tourism in Cartagena, Colombia is widely available on-line, including e-book formats for travellers.. The book website has evolved into a medical discussion page, but includes book updates and Cartagena news since book publication in July 2010. I wanted something different for my book covers – something that coveys the energy and the feel of Bogota so I have been looking for some photo editing software – and it looks like I may have finally found exactly what I need.. In exchange for the licensed software – I have promised to review it here.. That seems fair enough..
It’s a program to make photo collages – for all of the great photos I have of each location into coverart to submit for the book cover. (I have a specific look in mind – and I have a hard time conveying it to others.) Here’s a preliminary view – of the cover I created for the Bogota book.. I do have some of your books, and are great, useful, with high quality. Thank you.